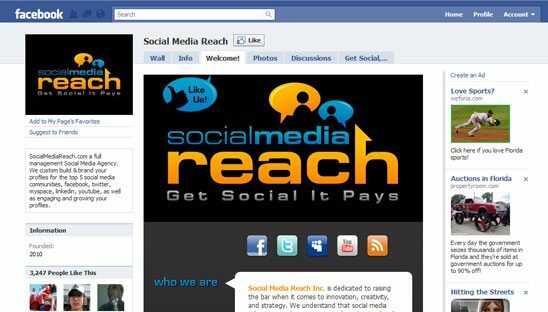 Social Media Reach Inc. is dedicated to raising the bar when it comes to innovation, creativity, and strategy. We understand that social media takes time and resources to truly understand and manage, that is why we have done the work and have attained the resources for you. We offer Custom Profile Designs, Communication Management, and Innovative Industry Strategies. Your Brand is important to us that is why we always follow industry best practices to ensure nothing but quality and professionalism. We wanted to do a very simple and clean design for this page. We also custom styled the FB comments.